Holy Days is very autobiographical. Gloria Wisher is my fictional character. Gloria takes a similar, but more dramatic journey from a sheltered, nurturing Italian-American home in East Boston to sexual abuse in the dangerous urban environment of Revere. From there, she makes her way through the sexual, social revolution of the 60s, through a sensational murder that makes her a feminist icon, to a surprising adulthood decision. You’ll have to read the book to find out more. People who read Holy Days have told me that I am “brave,” that they “admire my courage,” that I have “chutzpah”, that I have “balls.” But, I wrote Holy Days to tell the absolute truth. How else should I write? There seems to be no point in writing any other way. Should I gloss over details in order to be elegant or coy? I wrote Holy Days for the victims: to tell the absolute truth about what happened: how it felt, what it was like: the terrors, the dreams, even the pleasure. Victims want to know what happened. I think victims are the brave ones. The victims are ready to face the truth. Facing the truth, looking the details straight in the eyes, is the only way to make the abuse bearable. And, please remember, there is no shame. All of it is Holy because it makes us who we are. Holy Days is also about the Stockholm Syndrome of childhood. How we fall in love with our parents, our home, our neighborhood, our world. If that world is healthy, the child is healthy. 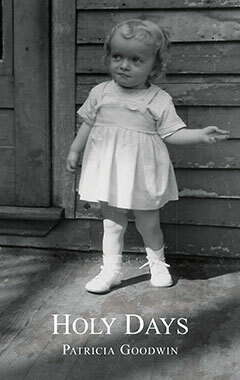 Their childhood world becomes a fine foundation from which they may spring into adulthood. If a child is abused, however, the Stockholm Syndrome becomes even more intense. The abused child must make their own healthy reality. They must be very strong to make this new world. 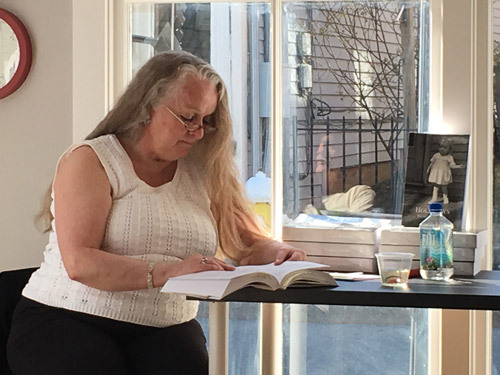 This reading from Holy Days was held on a lovely early Spring day in Marblehead, on the corner of a street named Darling, up the hill from a castle, in a space called WorkTable. WorkTable is the epitome of Hemingway’s “clean, well-lighted place,” a new kind of space, dedicated to work and community, the kind of idea Gloria and the young author would have thought a revelation in new thinking, and a perfect expression of the quality of life I found in the little seaside town. Thanks to the poet and sculptor, Dan Zampino for a superb introduction. Thanks to WorkTable for providing such a remarkable space. Thanks to Marblehead for being forever beautiful. 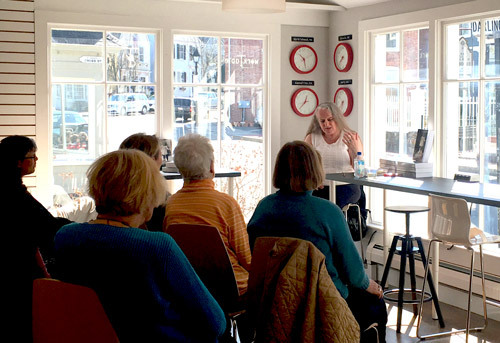 My unending gratitude to all who attended: dear friends and family, plus a few new readers!